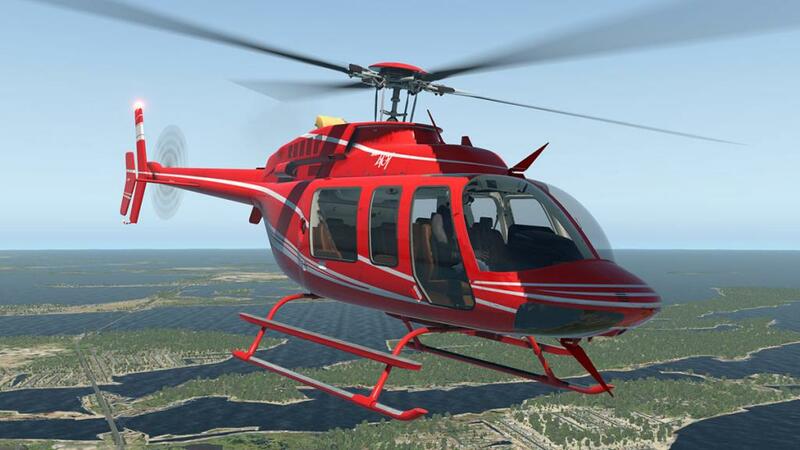 It is always debatable on what is the best simulation in X-Plane in any category as there is never a clear absolute winner and so it is with helicopters as the field is by other standards small, is very and highly competitive. But without doubt and certainly with all the accolades it has received since it was released three years ago in 2014, then Dreamfoil Creation's amazing Bell 407 is certainly at the very top. 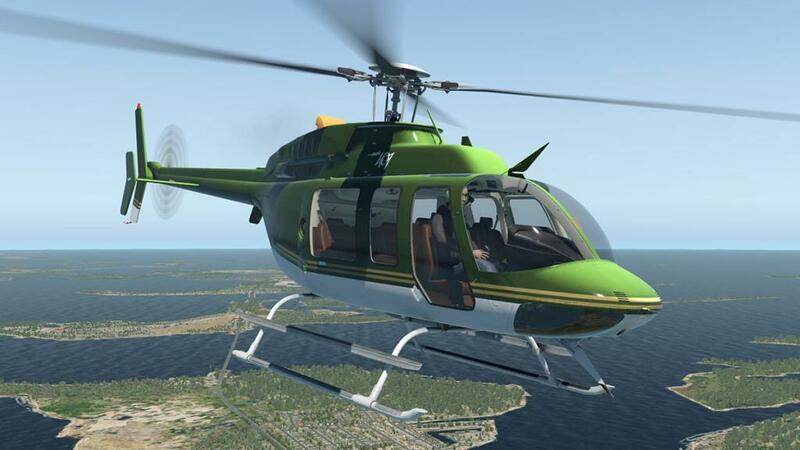 With this release the aircraft has been updated to X-Plane11 and is known as the XP11 in the version name, so this is an update on the older version, but also a new release in the fact that is a lot of changes and new features. 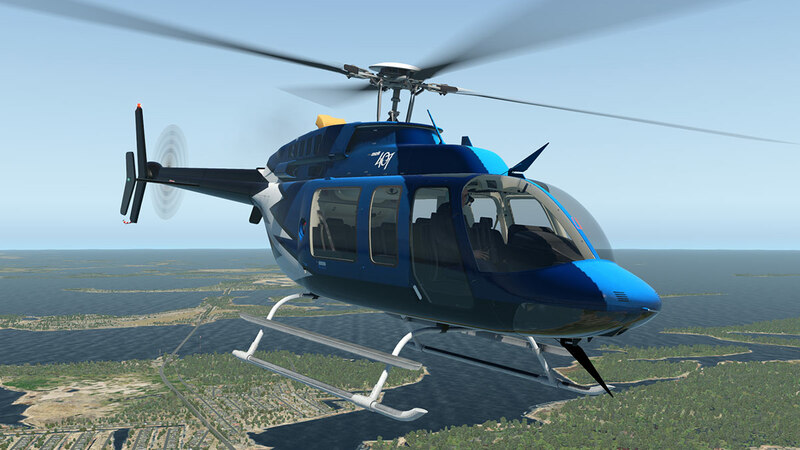 So that means a new version does require a repurchase for the X-Plane11 version at a 5c increase to US$35.00, but previous X-Plane10 owners can upgrade to this new XP11 version for only $15. 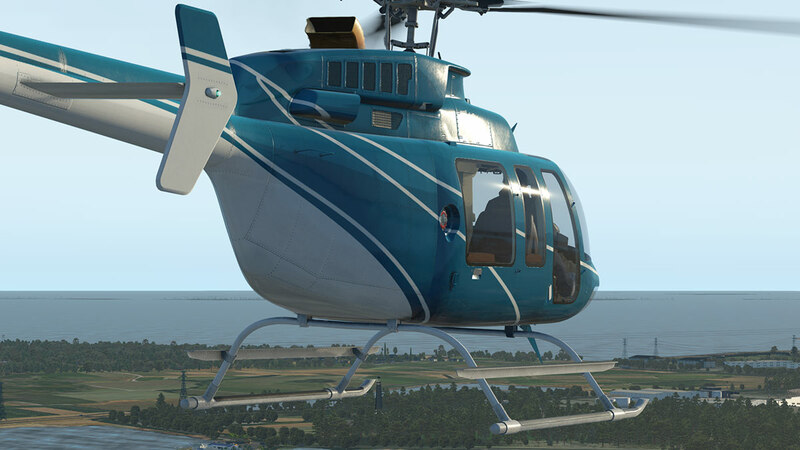 The coupon code for the discount can be found in the original Bell 407 invoice at the X-Plane.Orgstore. First you will make the note that in the title above I noted (Pro). This is not an official title as I added it in myself. 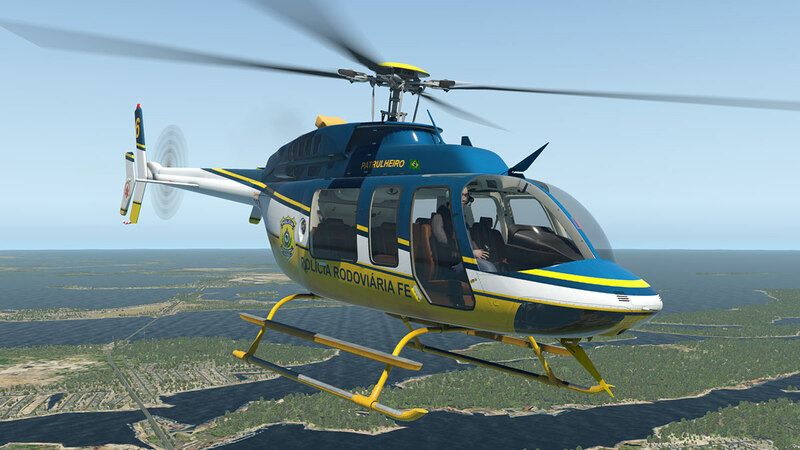 The reason behind that title is that Dreamfoil has taken away in this XP11 version the "rigid cruise" and "arcade mode" functions, or easy flight aids that helped entry and trainee or the just plain helpless helicopter wannabe pilots in the exchange of a new autopilot feature. 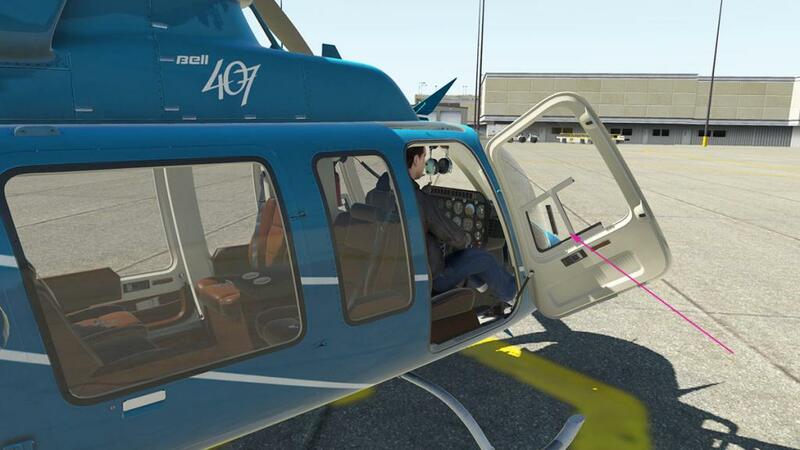 This omission does now make the Bell 407 quite perfect in its flight dynamics, but the aircraft also does now require a lot more skill in doing so, the "Pro's" out there will revel in the aircraft, but unfortunately the lower classes will find it harder to fly without any crutches to help you fly around the delicate flight balance. 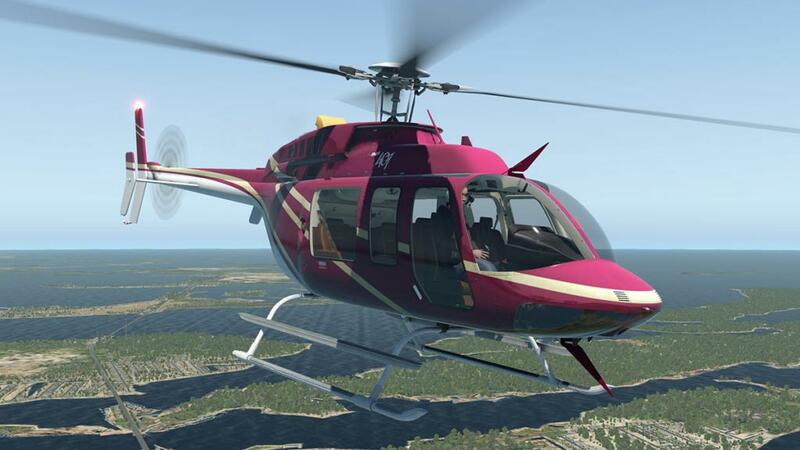 The Dreamfoil Bell 407 was excellent before, but with its new X-Plane11 PBR shiny coat and lighting features, the 407 looks simply outstanding in any light. The PBR lighting highlights the bodywork more and the detailing, glass is also more highly reflective and looks superb on the 407. 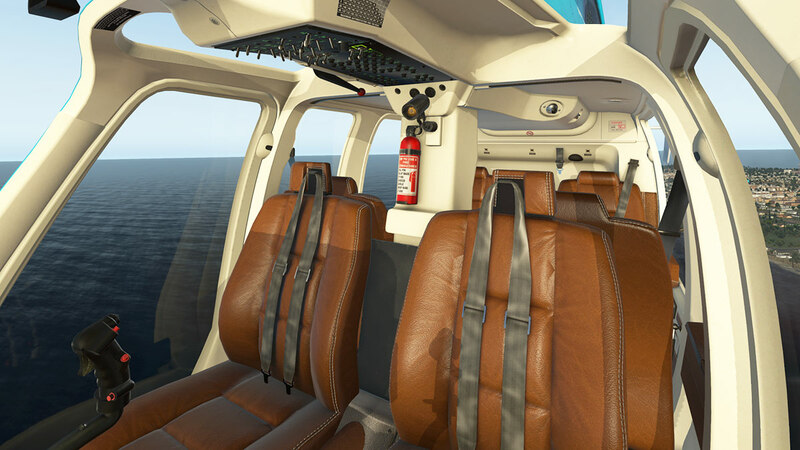 Internally the PBR really helps as well, making the interior even more plush and dynamic and now has interior normal maps for higher quality. 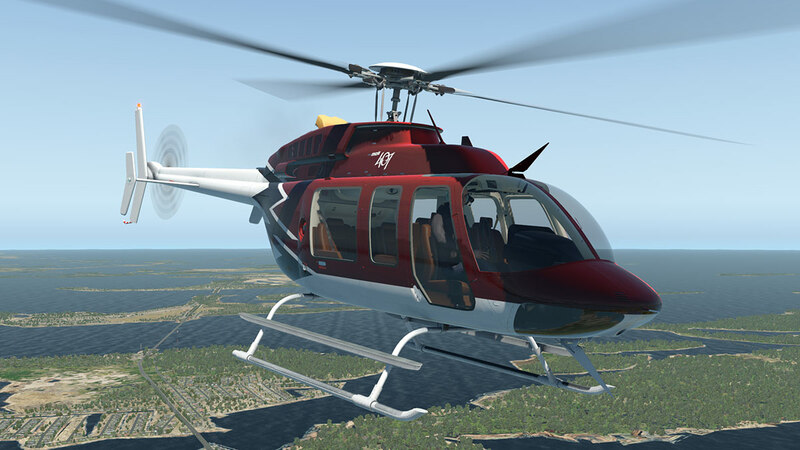 Any developer that crafted high quality external and internal textures really benefit from X-Plane11 PBR features as Dreamfoil does here, the cabin environment was excellent before, but in XP11 the 407's cabin is now simply mindblowing. 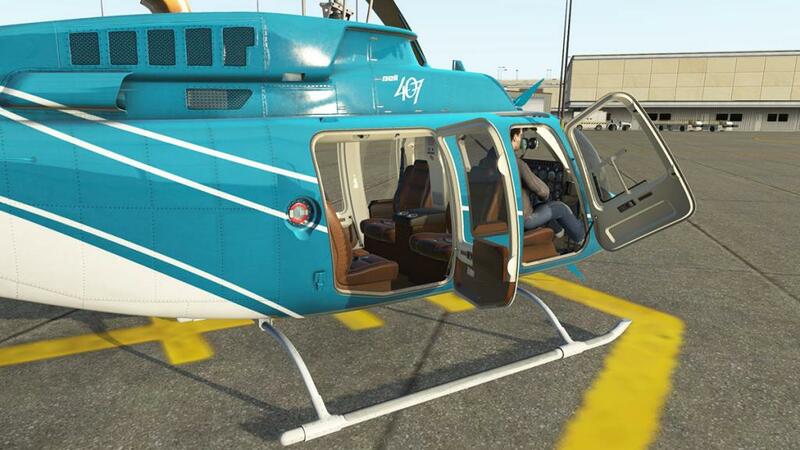 With this update you now have two versions as well, one with the original brown leather and now the new black leather on the "Black Goldy" and "Lighting Blue" liveries. 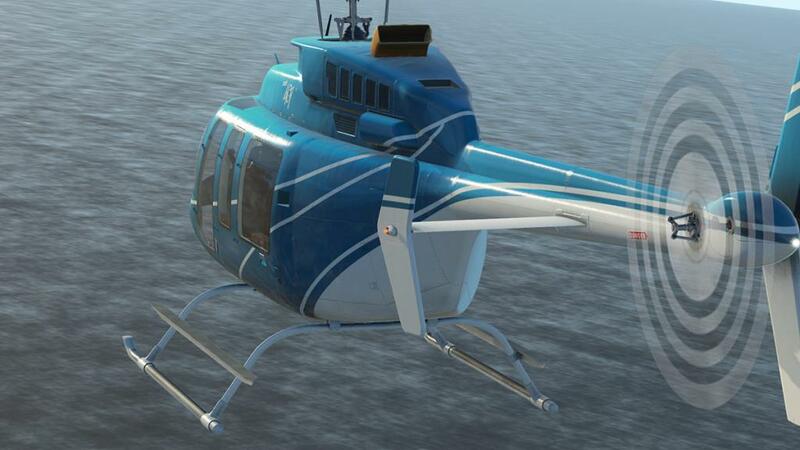 Of course any smart user could adjust the other liveries to their interior choice in the object files. 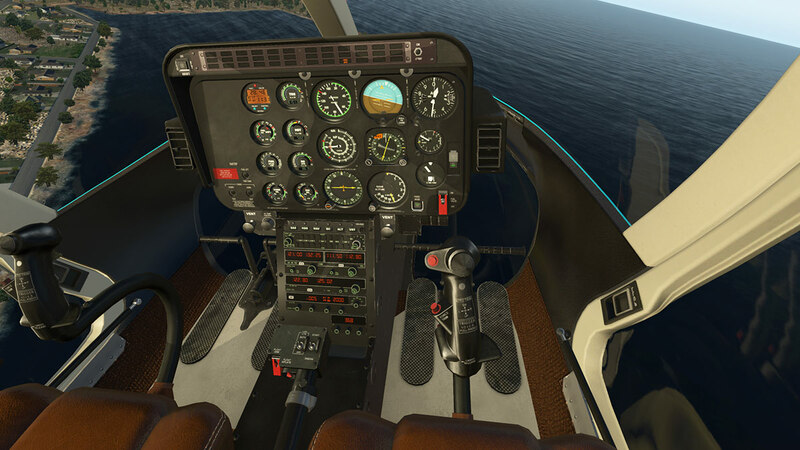 Realism in the cockpit in X-Plane11 is awe inspiring, even better in the air. 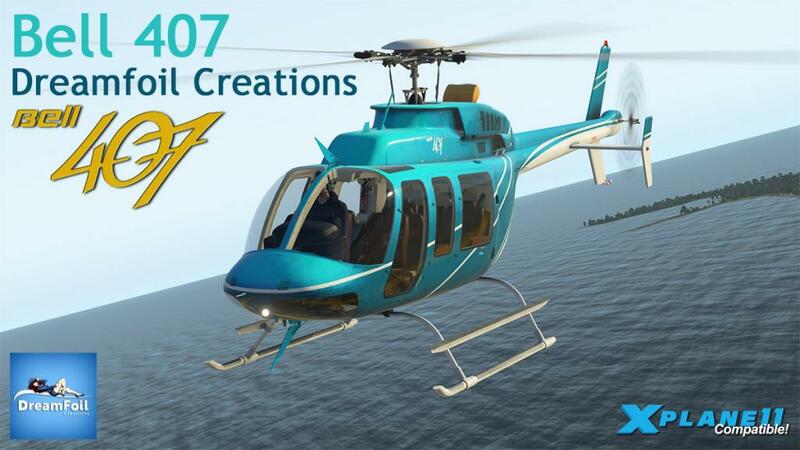 All the great features on the original 407 are also all still here. 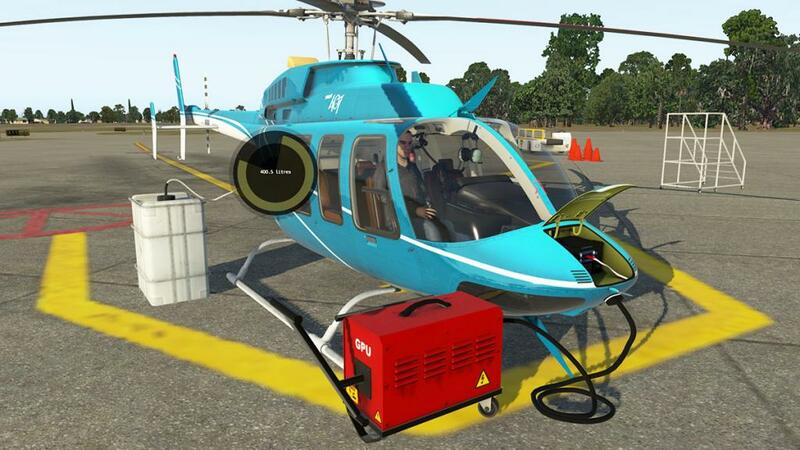 GPU (Ground Power Unit), Fuel Tank and fuel loading, battery access, and four opening doors with baggage compartment, What is new is that the actions on opening up the doors, getting inside the aircraft and other external items have been refined so all the actions can be done externally and with not having to open the menu each time, the menu is available externally as well if you want it by pressing certain areas on the aircraft (a circle). 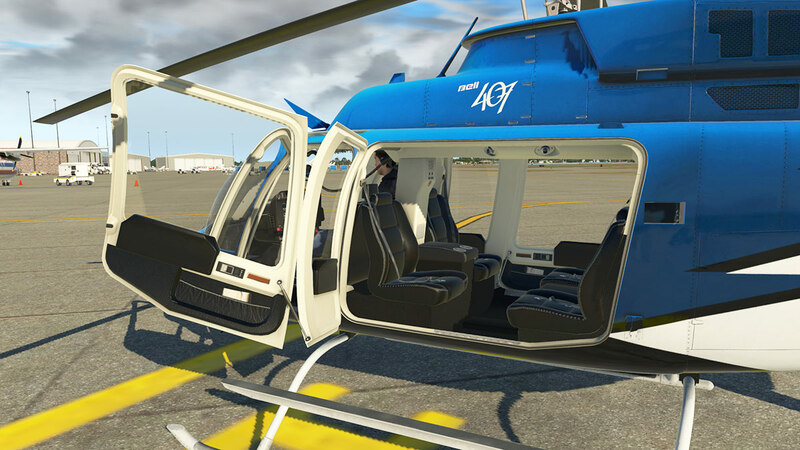 The two door choices with the full (side) and standard glass has now a third option in a smaller frame window, the glass opens as well. 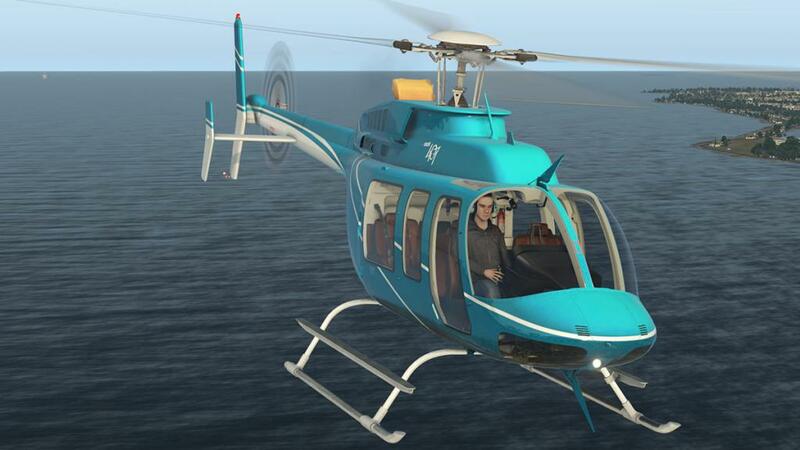 Low skid, High skid, baskets, Cineflex camera, sling hook, floats, cable cutter, frahm damper are all still here. 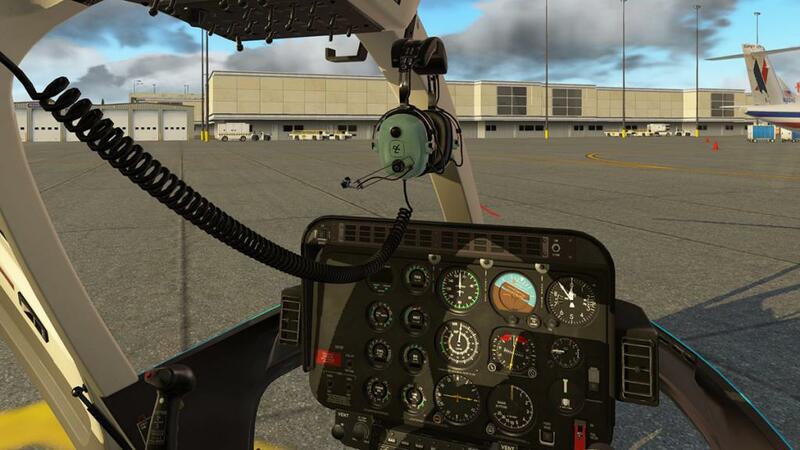 There is a great new feature in the aircraft ground moving electric cart. 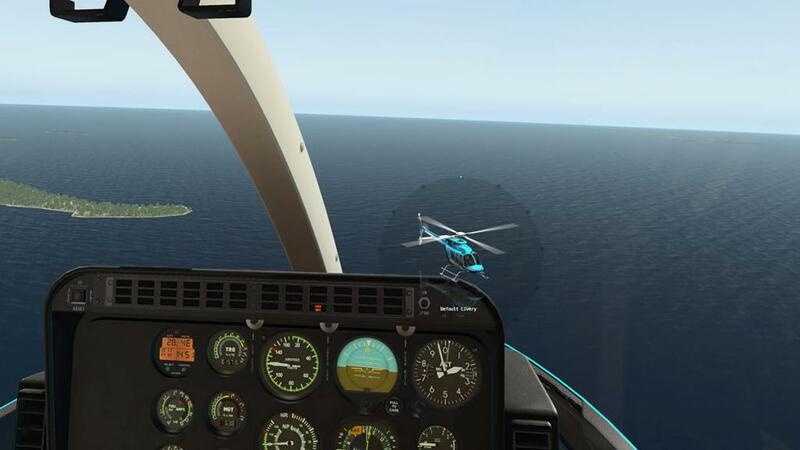 ... and yes it is a huge amount of fun, better yet that it allows you to reposition the aircraft back to where you should have landed in the first place. 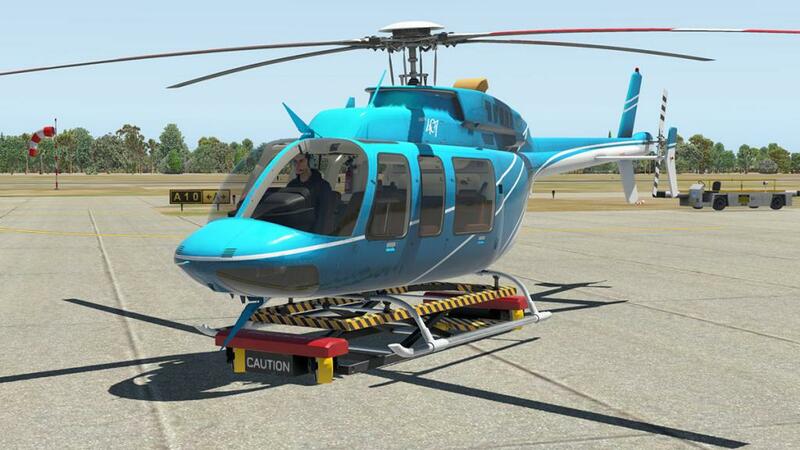 The rotors have had attention as well. 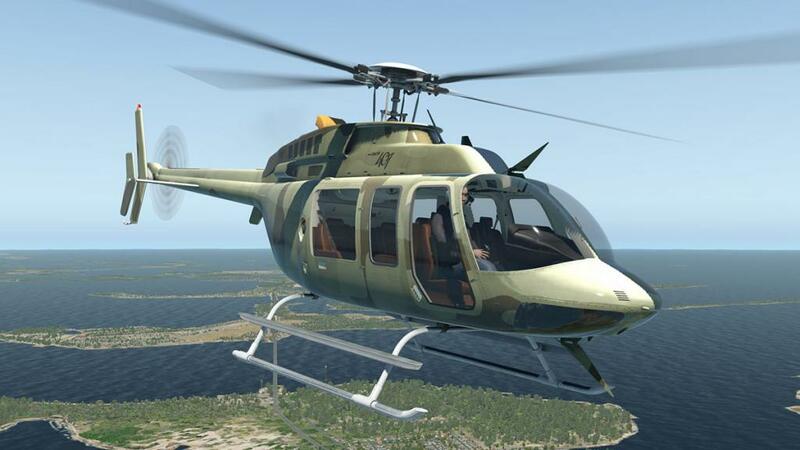 The original rotor design was excellent, but in operation the look of the moving blades has been refined for the main rotor and a complete overhaul of the rear rotor to make it look more authentic and make better the rotor blur/shadow effect. 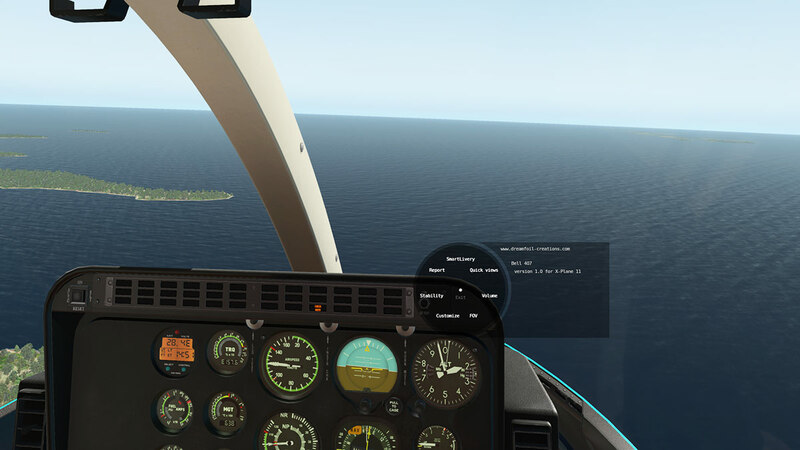 It is also to look better with weather addons, but I found that the xEnviro environmental engine looked the same blurry condition, however this is an xEnviro issue not a Dreamfoil issue as it is the same on all propeller aircraft. 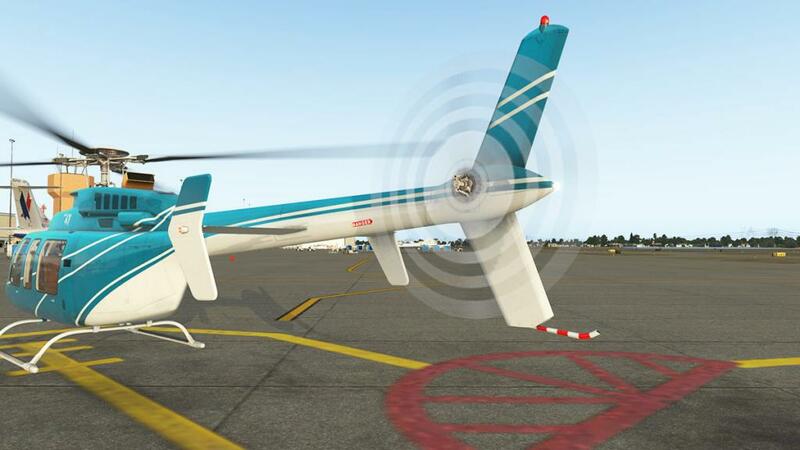 So the new moving blade animations do look really good in X-Plane11 when viewed in the default X-Plane simulator. They reflect far better on the aircraft in flight as well, and the shadow effects of the blades rotating from the cockpit perspective is simply excellent and real. 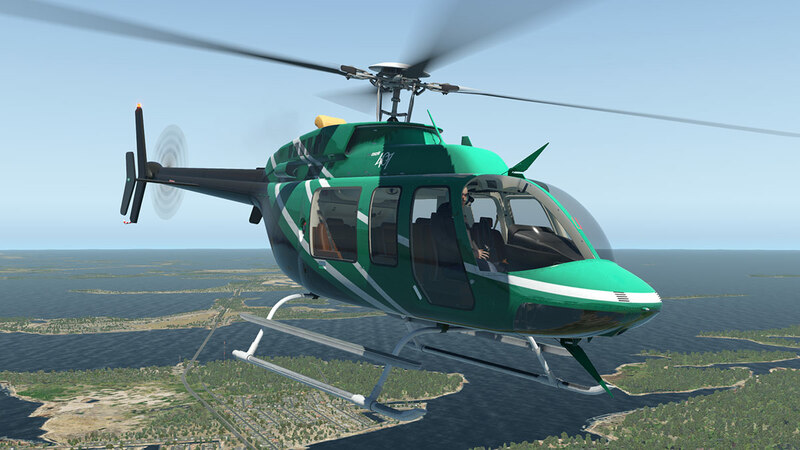 As noted the flying characteristics have had a lot of refinement for XP11. 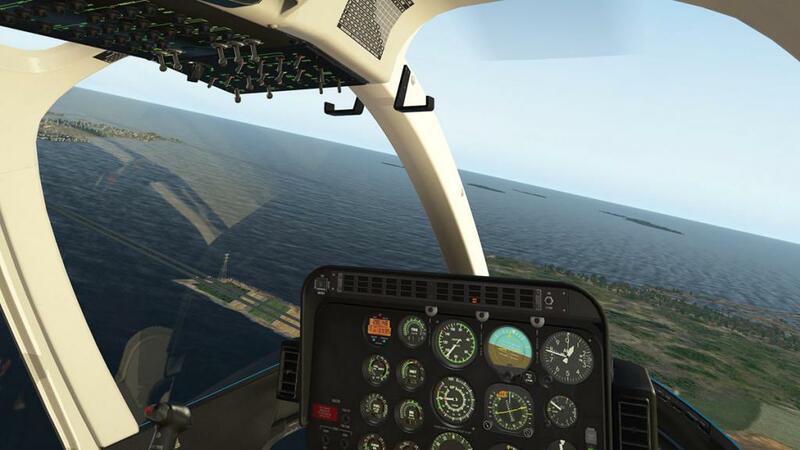 You need far more skill now to fly the aircraft with finer movements for control manipulation, forces are now slightly different and more finer and even closer to reality (the 407 was good before). 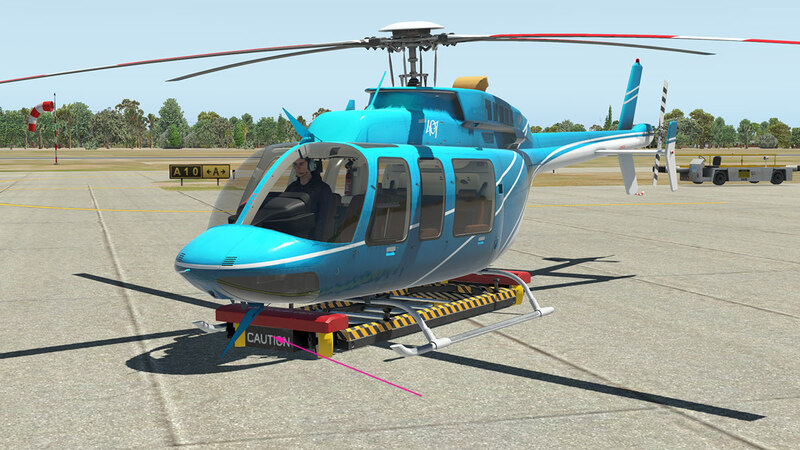 Takeoff is quite tricky to get right, and landings are a real test of skill unless you have a lot of experience on these machines, there is now Improved airfoil drag curve, and now helicopter will cruise at a more realistic speed. 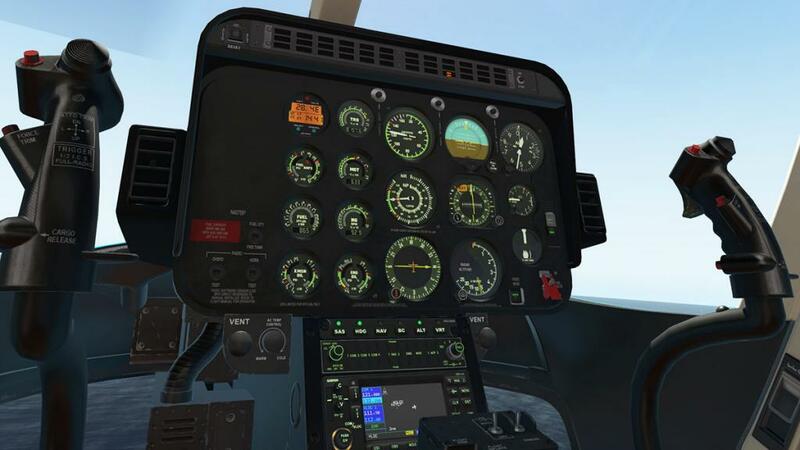 The NG has been recalibrated to match the correct rpm on various power settings and the MGT temperatures during start and flight should give you a more accurate reading. 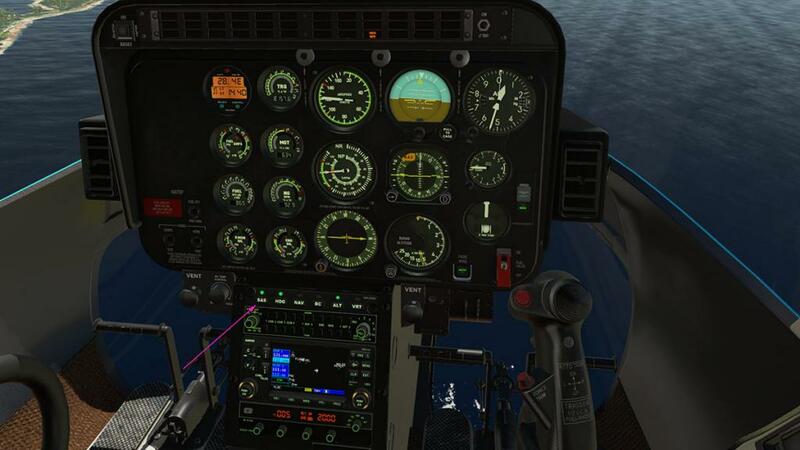 Fuel flow is more correct and the Frahm Damper now affects the flight model (you can have it on or off). 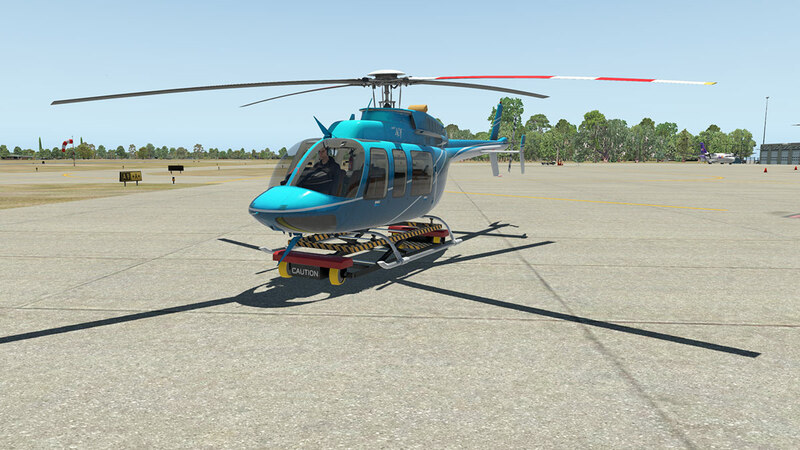 Back on the ground the idle has been fixed and rotor shutdown won't keep on revolving for ever. 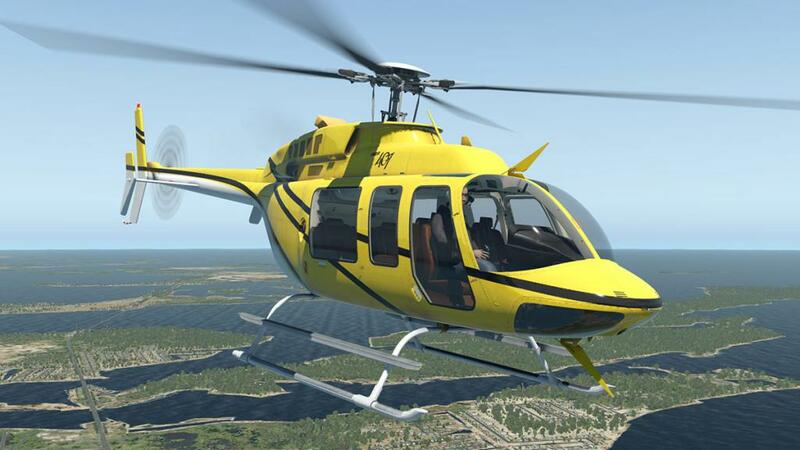 A new feature is the HeliSAS/Autopilot system. 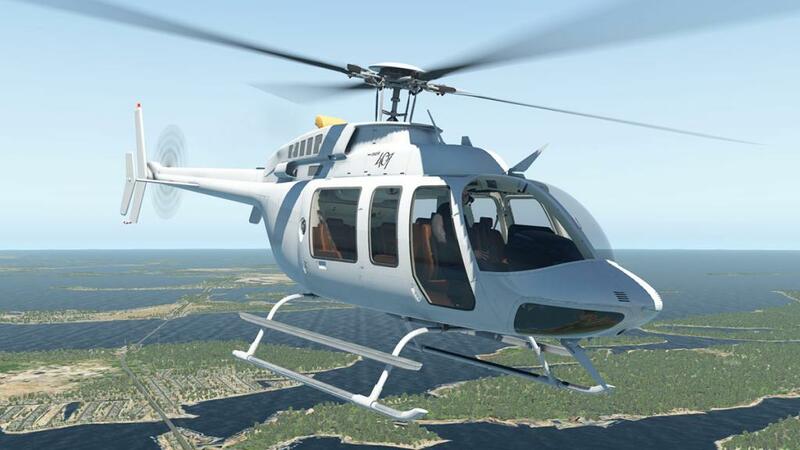 Basically an autopilot for the helicopter to take away the pressure of holding the collective and stick for long periods. 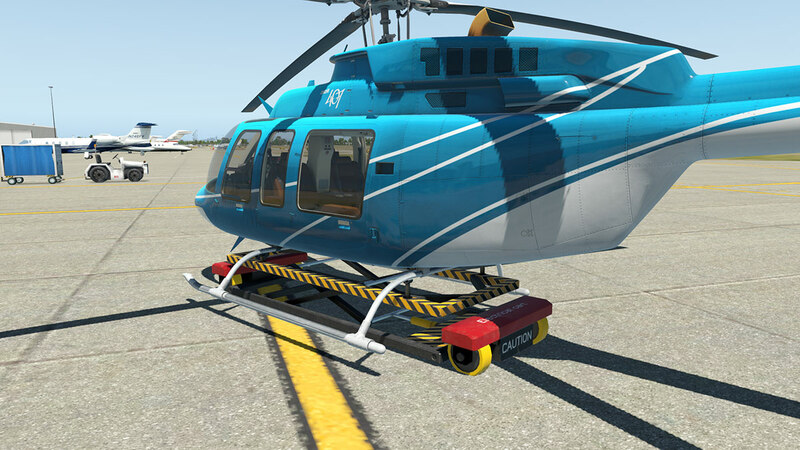 It is positioned below the main panel above the radio and is extremely easy to use, it is really just a set the aircraft and then set the HeliSAS to keep those settings. You can turn via changing the heading and the speed via the collective and there is also the VRT mode that works via using the knob to set your vertical speed on the V/S dial and ALT will hold your altitude. It takes a little getting used to, but it is very good. Dreamfoil created the DreamEngine so you expect the sound to be good, and it is and improved great volumetric cabin sound, more tail rotor loudness and the main rotor sound is audible on the tail cam. 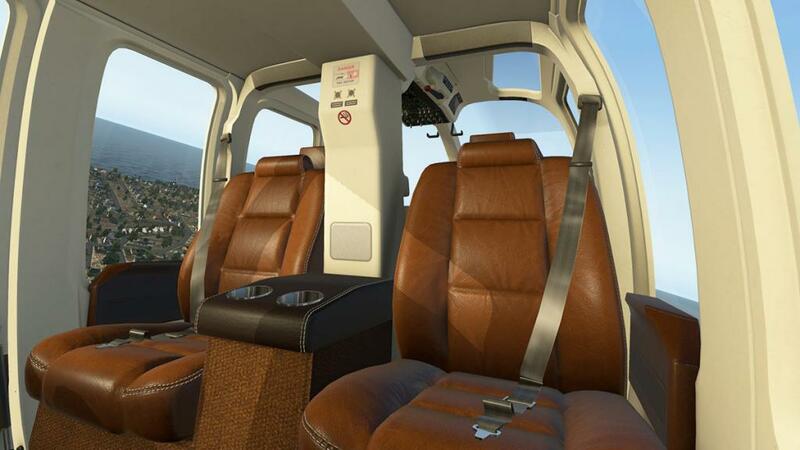 Speed slap now requires a bit of distance to be heard and is not as vocal as before and you can hear the air ventilation sound coming out of the back outlets. But the overall sound feels far better and very realistic (it needs to be with an autopilot) so the sound is impressive. 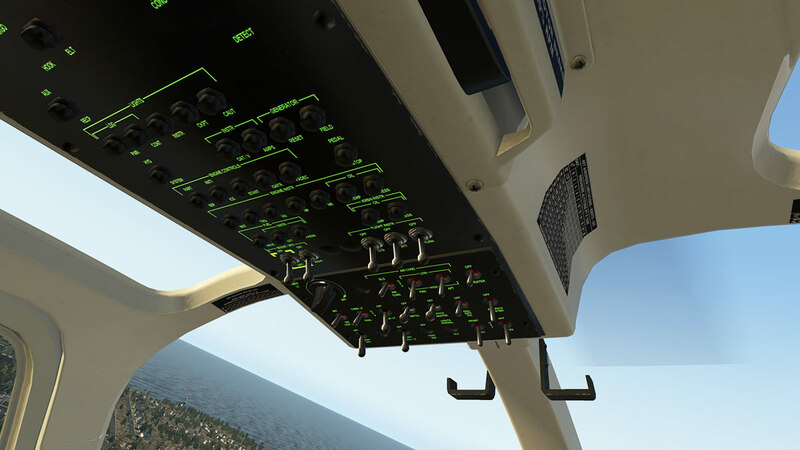 The clever menu system is still there on the top-right of the instrument panel and the liveries are easy to select. 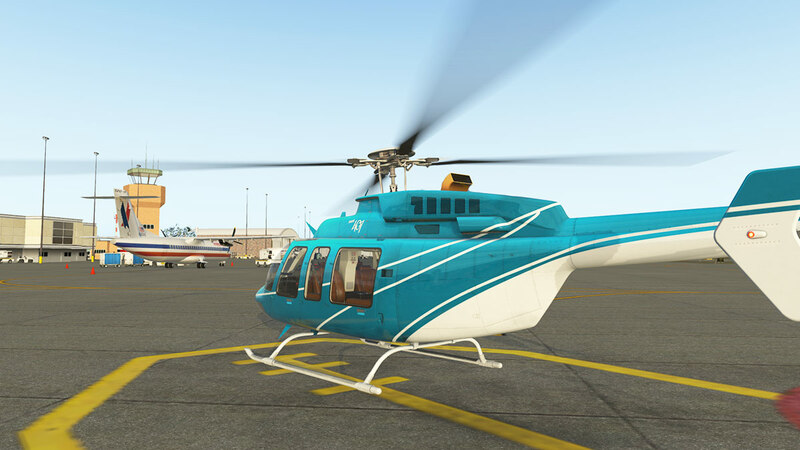 There have been those two extra black interior liveries added to the collection, but otherwise it is same one blank and ten set as before. 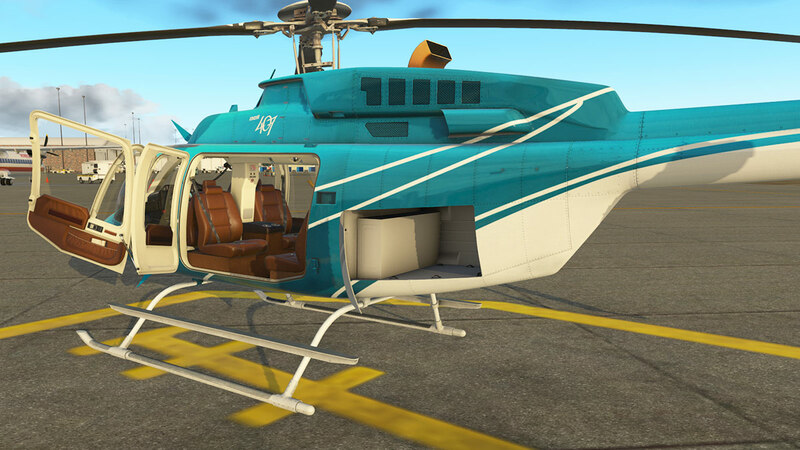 The Bell 407 from Dreamfoil Creations was exceptional before, but the change to X-Plane11 has took the whole deal far higher again. 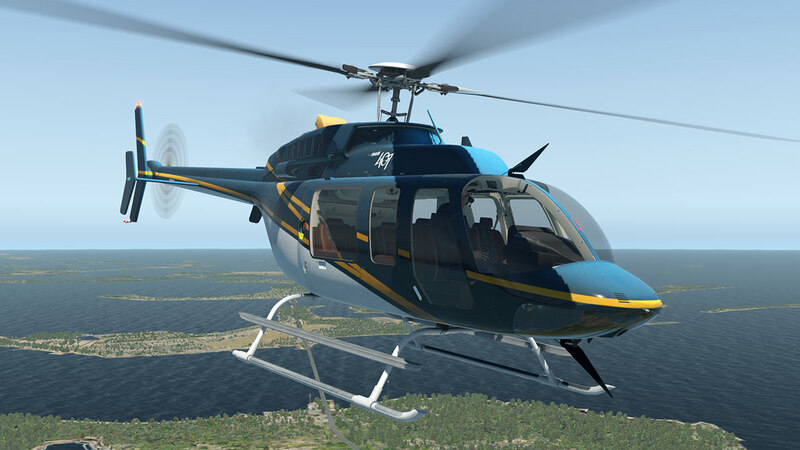 In every area the aircraft is simply outstanding, flight, features, detailing, quality and I could bore you for hours with my feelings for this machine. 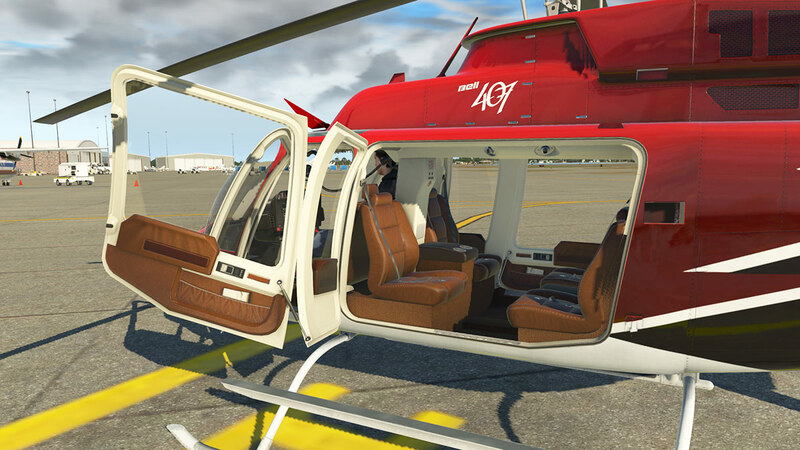 Great new features including the HeliSAS/Autopilot, Electric Cart, new interior and so on are great attractions here, but mostly this is a qualified conversion to X-Plane11 than just the additions in the package. 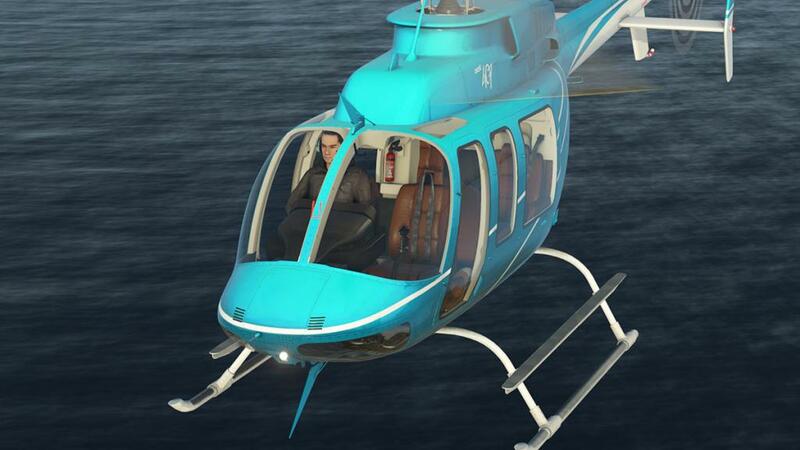 I do wonder though to drop the entry tools in the "rigid cruise" and "arcade mode" functions was a good idea. 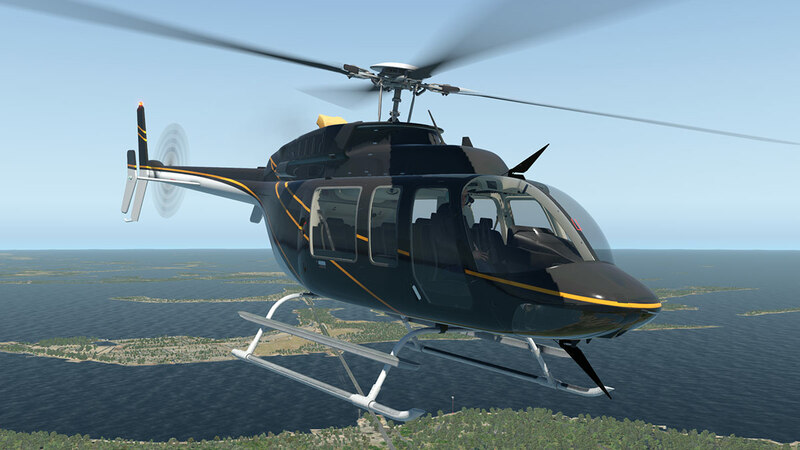 It does take the aircraft out of the bounds of trainees and helicopter learners, you have to be really quite proficient to fly this XP11 version, and even training and transitioning on the older XP10 version and then moving over to the XP11 version is still a large gap. 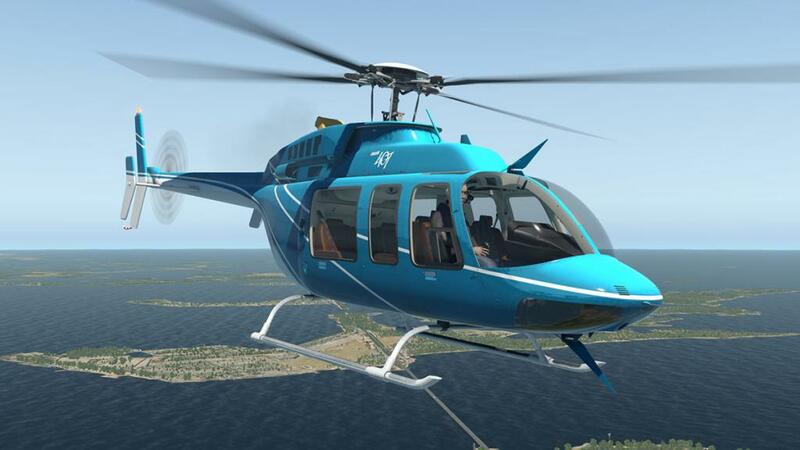 I am not saying the time learning to fly this amazing machine is not worth it as because you are flying now the best of the best, but there is certainly a higher skill required to do so. 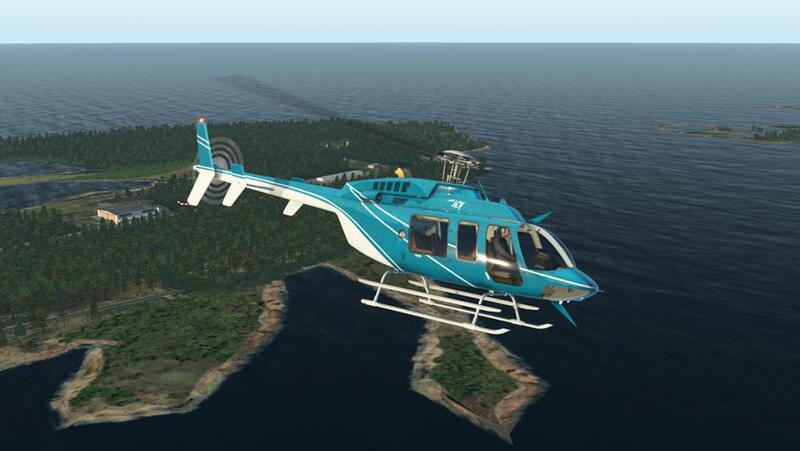 X-Plane11 delivers and requires a whole new level of immersion in simulation. 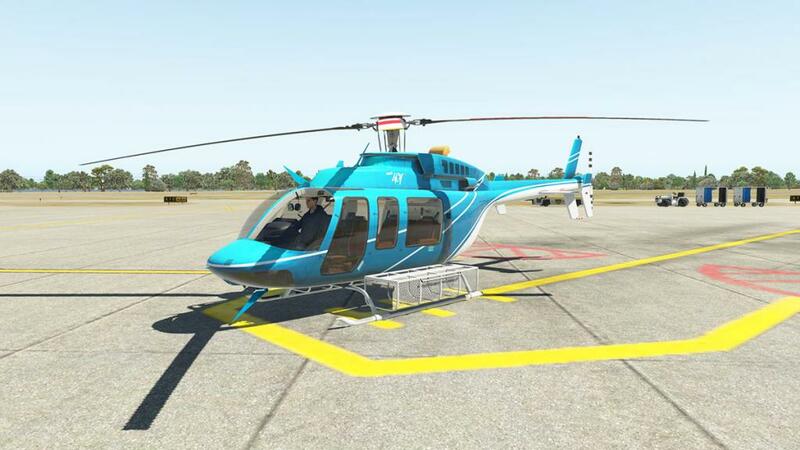 This is the first helicopter converted specifically for the new medium and it shows, and boy does it show. 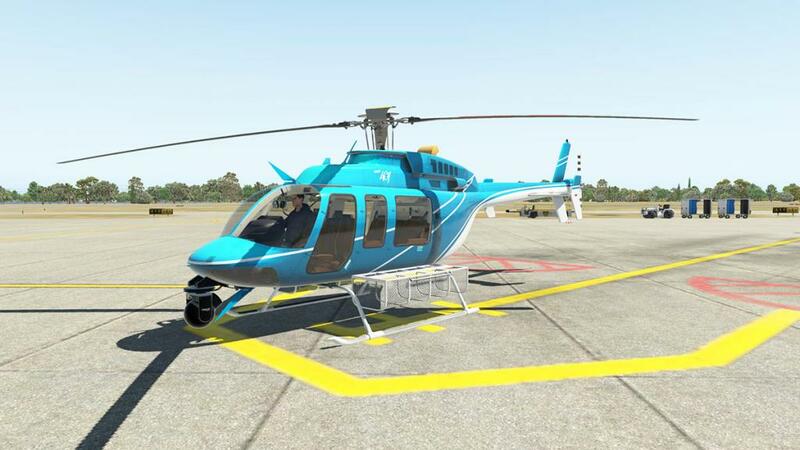 This is a great step forward from already a very high standard, all you can ask is how much higher can you go... this Bell 407 has to be as good as it gets. 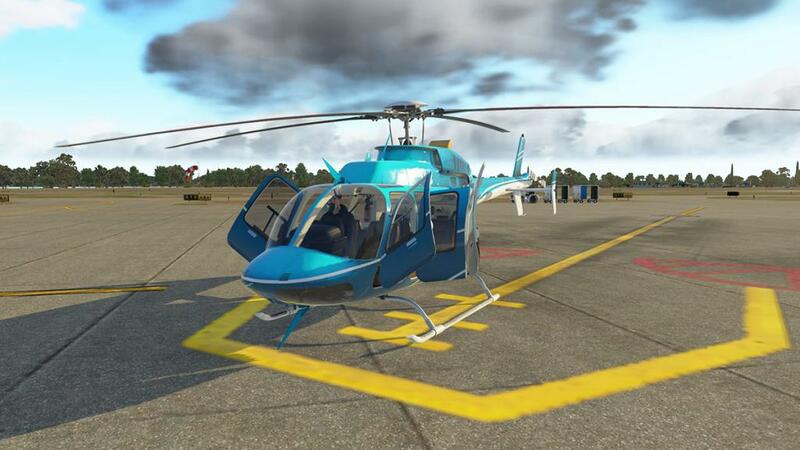 US$35.00, but previous X-Plane10 owners can upgrade to this new XP11 version for only $15. 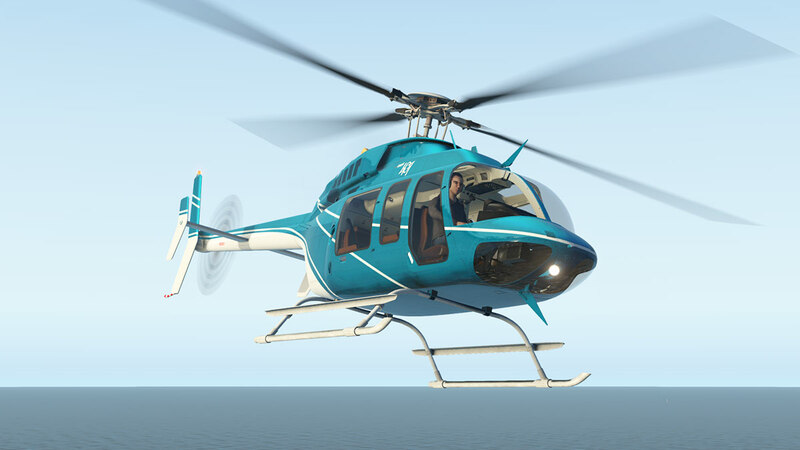 The coupon code for the discount can be found in the original Bell 407 invoice on your account at the X-Plane.Orgstore. 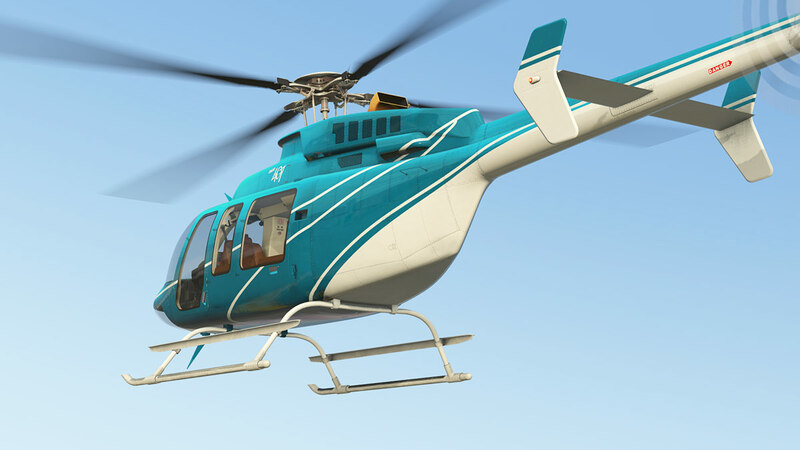 Installation : Download file size is 347.90mb to your X-Plane - Helicopter Folder. Installed file size is 792.80mb.